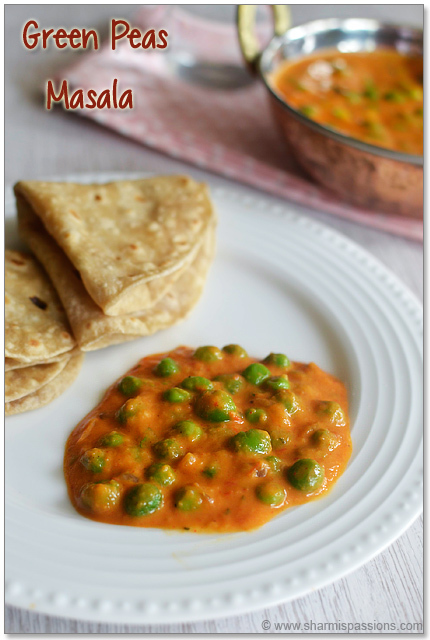 Green Peas Masala is a great side dish for chapati,phulka or even pulaos.As I have mentioned earlier, mittu loves peas so I take chances to try different varieties with it. 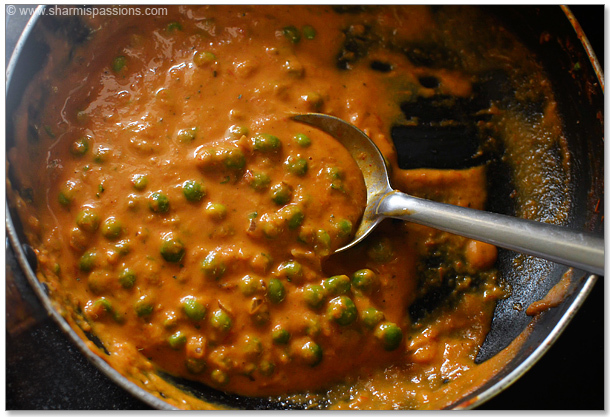 I bookmarked this green peas masala recipe long back and when I browsing through it last week, I had the sudden urge to try this and with no surprise mittu loved it. I modified the recipe a bit to my convenience and it came out still too good.Even with no milk/cream the gravy is creamy and yummy, apt with rotis or even jeera rice. Pressure cook peas for 2 whistles and set aside. First grind cashews with curd to a smooth creamy paste, set aside. Add a tsp of oil and add the ingredients under ‘to saute and grind’ and saute till tomatoes turn mushy. Cool down and grind it a fine paste. Heat butter,add the items under ‘to temper’ add onion and saute till slightly browned. Then add the tomato paste and saute. Saute for 3-5mins then add channa masala,red chilli powder and required salt. Add water as required to bring it a running consistency. Allow it to boil for 2 mins. Then add the cashew paste and give a quick stir. Add cooked peas, sugar and cook in low flame for 5mins.Then add kasoori methi and coriander leaves and switch it off. You can even add curry leaves while tempering which gives a nice flavour too. Use kashmiri red chilli powder for a dark red color as in restaurants. Channa masala powder gives a great flavour to the gravy. This is medium spicy , adjust chilli powder according to your taste. For the peas or any green vegetable to stay green, after pressure cook release the pressure manually and open it. This way the veggies will stay green while adding in gravies – Got this tip from my cousin and it worked too. Looks yum. Will try it out. 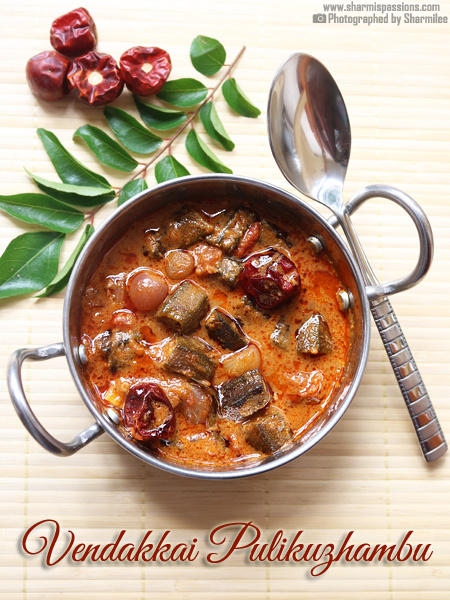 wow…this is my favorite n thanks for this great recipe…looks very inviting, Perfect dhaba style gravy…love it!! 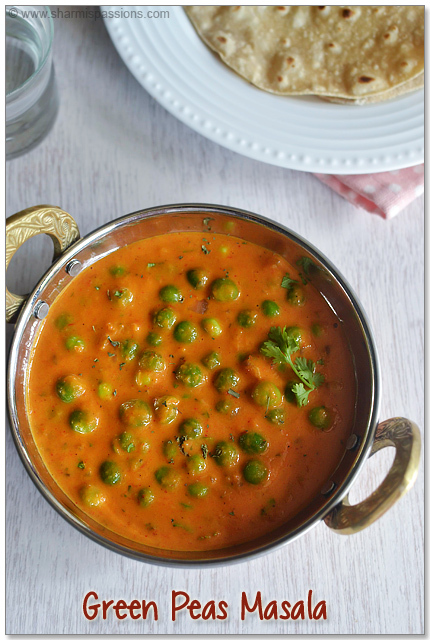 Yummy peas gravy…Looks delicious and beautiful clicks..
gravy looks super yummmmm…must try you version next..and thx for the mention.. 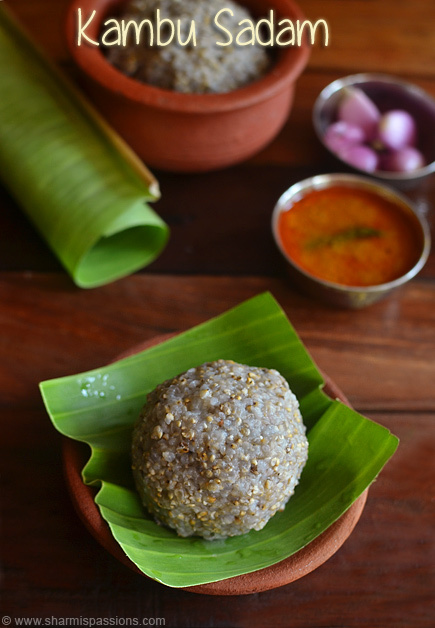 Awesome Dhaba style recipe.. finger licking! 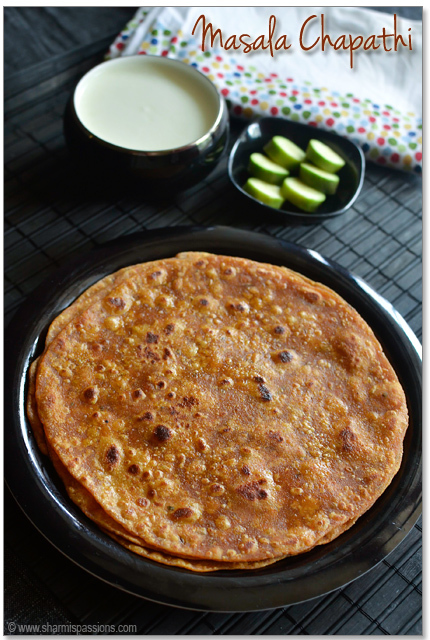 Hi…….. sharmi i like the recipes u post nd it comes out very well when i make . After seeing u r blog my mind said t create my own blog but no dediction like u … keeping rocking , this is the first time i comment for a blog ,u madde it happen . keep posting new recipes . Hi sharMi .color captive … I tried your eggless vanilla cake. Came out perfectly . I also try leaving the comment there but I was not able to. Thanks for sharing the recipe. This is a truly addictive and tempting gravy. Love the way u prepared this and anything with green peas i like very much. I love the consistency of the gravy !! Wow beautiful! Yummy pea masala looking great! I tried your recipe today and it turned out amazing! 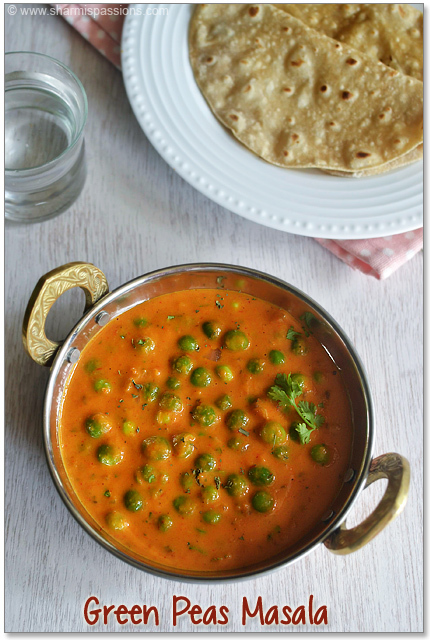 The best ever peas masala I have ever made! My husband loved it! Thanks to you! This is going into my recipe book for sure! It was reallu Yummy and tasty. Everyone at home liked it. Just wanted to tell that there is a slight change in taste from home made to hotel but thats fine because home made is healthy. made it today. nice combo for chapathi but little sweet though. 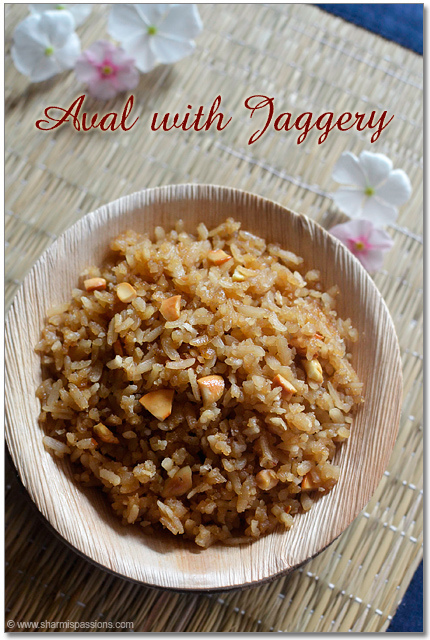 hi sharmi, first time here…..fantabolous blog…..beautiful pics and yummy recipes!!! Hi I loved the recipe and it came out really the way it is shown in the pic. Taste good. Loved by family. This is the best cook website I have seen in over 25 odd I have surfed to date. Thnx sharmi. My lousy server popped up your website only today.. was missing it till now.. Thanks for the posts and I am pretty sure that my kitchen would be lively from now on.. It depends on the sourness of tomatoes and curd…Add little more chilli powder to compensate the sourness and add a pinch of sugar too. Hope this helps! Hi,i wanna try this recipe.can u pls tell me this recipe can serve how many people? Hi Sharmi, here's a great fan of ur dishes n d way u present it…Really attractive n mouth watering. 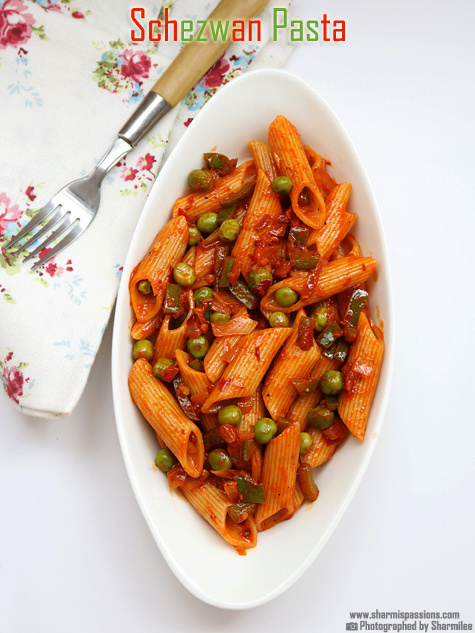 Could u pls suggest me hw to achieve d softness of green peas as in restaurant style gravies. (Esp in restaurant style green peas masala,Mutter paneer )..i hav tried with both dried n fresh green peas but not getting softer ones as in restaurant style gravies. 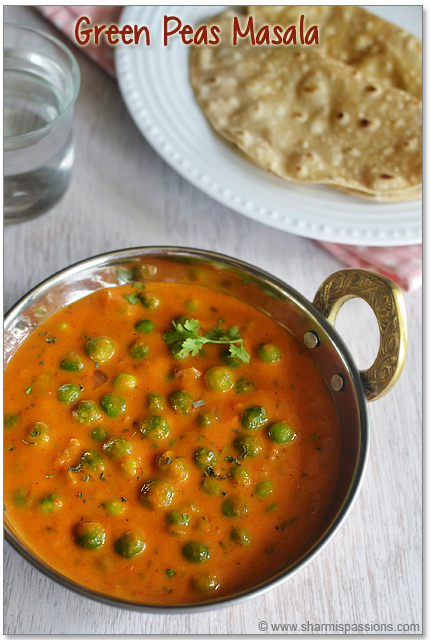 I just pressure cook green peas and it cooks soft only….other than that dont have any special tip to cook peas….. I attempted it today, spent almost an hour in kitchen. And I can not believe…it was yummy…so delicious. The taste, aroma, look everything was so very perfect!!! Thanks for easy & pictured recipe!!!!!!! I have been grinding onion tomato base for most of my gravies and I havent faced that issue….not sure where you are missing…Did you try sauteing well, cooling down completely and grinding?! Hi….nice receipt…..tried and loved it vr much…..thnx for sharing the receipt. very well explained , I'm gonna make it for dinner. I want to try this please give me the onion and tomotto in grams or cup measure. Thanks in advance. Will measure and let you know…. Made this today without Chloe masala and everyone loved it!!!! Great Recipe! Turned out really well. Instead of the cashew paste i used a little heavy cream. My husband loved it. 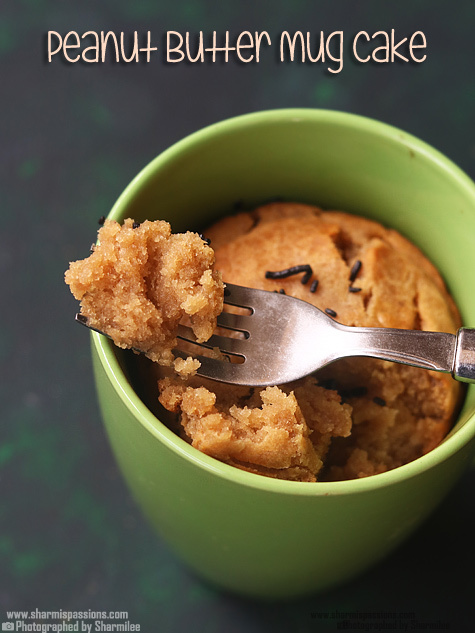 Is this recipe is without ginger garlic paste? Sorry I didn't see the saute and grind portion. Can you specify chole maslas brand you used in this recipe.Also please give the correct measure of tomatoes and onions in grams or cups measure in griding list.Your recipe looks tempting at the same time I do not want to rush to make this recipe and dissapoint myself if the gravy becomes too sour because of tomatoes and too oniony if I dont have the measure in grams or in cups. Thanks for the recipe, and will be following out ur blog..